Matt Sweet and his glasses. 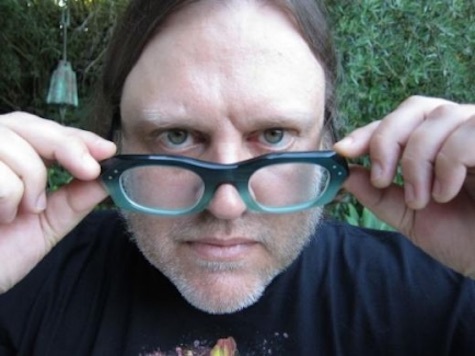 That Q&A I did with Matthew Sweet for The Reader went online this morning. Sweet talks about moving back to Nebraska, why he did a Kickstarter campaign for his upcoming album, playing at O’Leaver’s and the legacy that is Girlfriend. You can read the Q&A online right here. Sweet is playing at the 1200 Club in the Holland Performing Arts Center March 28. It’s a cool place to see a show. Even has a bar, with drinks and everything, nice tables. Definitely a good evening out. Tickets are $45 (all general admission, just grab a table) and $100 for VIP that let’s you meet Sweet and give him a big ol’ bear hug and get a selfie with him. Get tix here. Proceeds from the Sweet concert go to Hear Nebraska, so you’re getting a great night out while helping out a worthy cause. DO IT. Tonight at Slowdown Jr. it’s Lincoln band Oketo. The band is closing out a spring midwest tour, so they should be honed and ready to rock. Opening the show is Chicago band The Boxers and CB’s Pancho & The Contraband. $6, 9 p.m.